Listing your home isn’t free. There are costs, chores and a lot of work that goes into getting your home ready for the market. Before you list your home, think about the time, energy and money that go into it. If you have a direct buyer, with a great offer, it is often preferred to the hassle and out of pocket costs of listing. 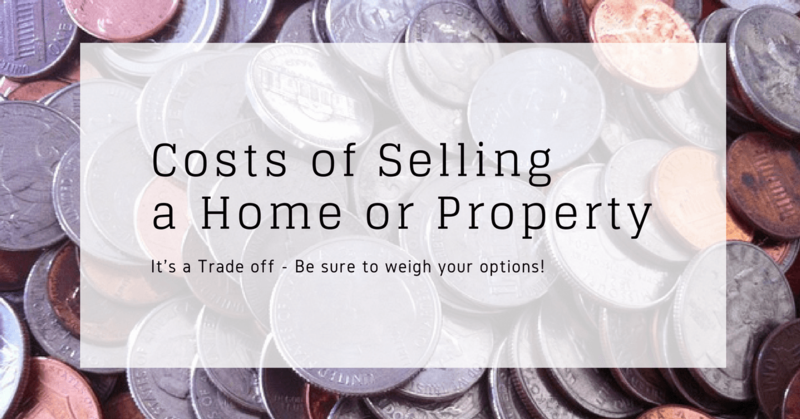 What it REALLY costs to sell your home in Raytown if you are going to go the traditional seller route by listing it with a Realtor. If you do nothing else, get it clean and decluttered. I don’t know how many times I have walked into a home that was listed for sale and the walls were covered with personal items. The furniture is covered with knick-knacks. And it seems that every time a new table or chair was purchased, nothing was removed, everything just kept getting added. So if your house is older and you have lived there a long time, it’s time for a clean slate. Do you really need the “Billy Bass Singing Fish”? We get that you are Christian or Catholic or what ever, but there is such a thing as too many Angels, Crosses, and Virgins. And why in a room with 3 chairs and one couch do we need to have 7 side tables that are then covered with all your items from all your travels? Box them up and put them in storage for the next house. 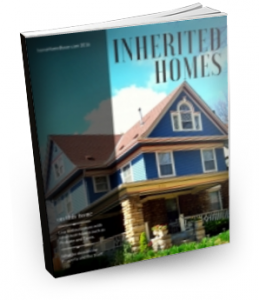 Or if you are downsizing or selling an inherited house, divide up the keep sakes and donate or sell the rest. Your bottom line will thank you. The home has to be thoroughly cleaned from top to bottom, and this means more than a dust and a vacuum. Windows should be done inside and out, screens cleaned and don’t forget the window blinds. A good way to get the blinds clean is to take them down, one window at a time and lay them out in the driveway, and power wash or hose down with a good degreasing agent. Then wipe them off and hang them back up. In the bathrooms, on the backsplashes and on the floors, the grout and tile need to be cleaned. You might hire a steam cleaning company to come in with a professional steamer or you might do it yourself. And another great cleaning agent we have found for DIY in the bathroom for the toilet, shower doors, etc is Bar Keepers Friend. It will get it clean, but be sure to use gloves because it’s tough on the skin. Around the entire house, pay close attention to baseboards, crown molding, window sills, doors and frames, ceiling fans and all of the obscure areas we often miss. We really like to use a damp magic eraser. And a dry one is great for wall scuffs. Smells are another big issue. So if you have pets, pay particularly close attention to pet hair and odors. Of course, you can clean yourself, but you will not be able to do it with the accuracy and efficiency of a pro. And sometimes, there is no getting the smell out of the carpet or the furniture, in which case replace it. I have seen beautiful homes that show very well, but because of the pet smell in the carpet, they just don’t sell and if the owner would have spent a few thousand on replacing the carpet, it would have sold so much faster and for so much more money. Have friends give it the sniff test. In addition, keeping the home clean for showings, open houses and surprise visitors can take a lot of time and energy. Open Houses: In addition, keeping the home clean for showings, open houses and surprise visitors can take a lot of time and energy. Once you get it super clean, keep a few laundry baskets so you can run through the house, pick up the clutter and stow it away on a moments notice. If you don’t live there or the home is vacant and there is no sprinkler, avoid new plantings unless you can head over there and water regularly. Instead, plant decorative rocks in the flower beds. Or a nice holiday display that does not include live: Like a small hay bale, a scarecrow and some pumpkins for fall. If you were once a prolific gardener and you have let it get wild and overgrown, the average buyer is going to see WORK when they buy and the cost of paying someone to clean it up. It is money and time well spent to manicure the garden back to beauty. We went through this with our own home when it was for sale. We went through the decluttering stage already mentioned and had a garage sale and donated a lot of stuff. But for the stuff we wanted to keep to take to the next house, we boxed it up.. We purchased a pile of moving boxes that were all the same in size and look so they were uniform. Then we boxed everything up and stacked it in storage. People get that you are moving, and would want to pack a few things. Save the rented storage for things that are too big to store in your own house. Working with an agent also brings a plethora of fees and charges you may not be prepared for. (These charges are IN ADDITION to the commission, which we talk about below.) Some agents are awesome, they work for their commission. Other agents will pass on a number of fees to you. For example, they might have a fee to put your listing in some marketing magazine or on a website. Other agents hire an administrative assistant and then charge their seller an admin fee on top of the commission. You will also have closing and selling fees at a title company, but those are pretty much standard for any sale, whether you sell through an agent, sell to a neighbor or you sell it to an investor. This is the biggie. Selling your home through an agent entitles them to a commission. 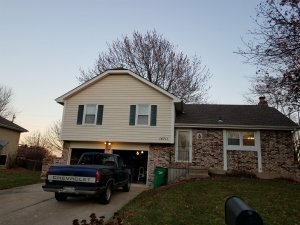 In Raytown this can be anywhere from 2 to 3% with a cut rate, budget do it yourself listing company to 8% for a full-service listing. Now before you get all worked up about a commission, there is study after study to show that if you list your home with a Realtor, and it is priced correctly, it will sell faster and for more money than if you sell it for sale by owner or to an investment company like ours. However, there is a trade off and it relates to time. The faster you want to sell your house, the less money you are going to make on it. If you want to sell to a full Think 6% of your sale price. This can be more or less, but 6% is a good estimation. When you are calculating your asking price, make sure you factor in commissions as well as the other charges listed above. The faster you want to sell your house, the less money you are going to make on it. 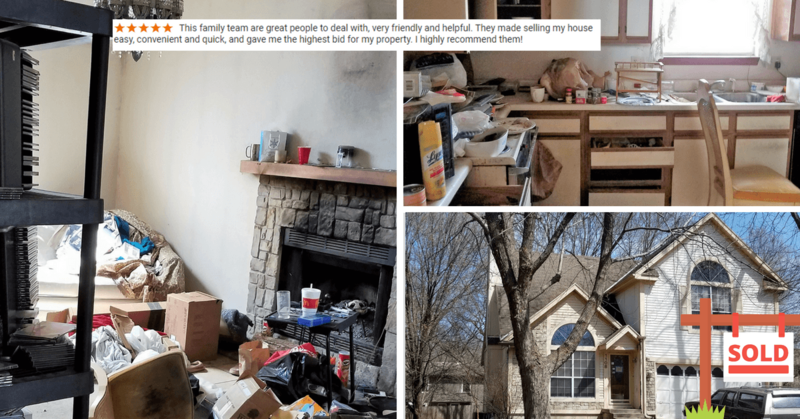 If you want to sell in a week to 10 days and save all the cleaning and decluttering fees, not have to worry about if and when you are going to get an offer and then if the buyer will want repairs or it it’s going to appraise, then you can sell to an investment company like us with no commissions. But if you have the time to spend and devote to the traditional listing, you will sell it for more money, but you will have a lot more time involved and a lot more questions about if you have it priced right, keeping it show ready, when will an offer come, inspections and appraisals. Time is the trade off here. 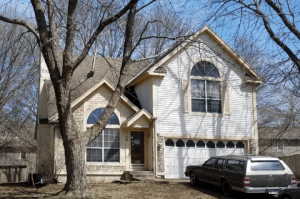 There is an alternative way to sell your Raytown home for a great price! Send us a message and we will be in touch! Or give our office a call today! (816) 800-9044 We can help you weigh your options between listing and selling it to a fast cash buyer.